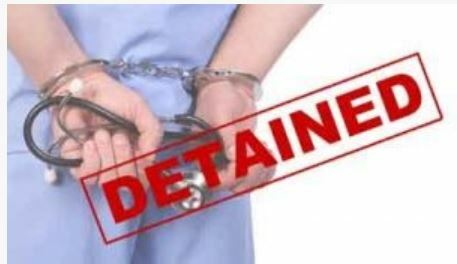 A Chinese medical doctor was detained for 3 months for his remarks that a popular Traditional Chinese Medicine (TCM) was ‘poison’. TCM is an enormous industry in China, with a total value in excess of $130 billion in 2016. The case is the latest in a series of skirmishes between proponents of TCM, which lacks medical trials to prove the efficacy of some substances, and doctors advocating for evidence-based, peer-reviewed medicine. How to make sense of contradictory health news: We are constantly bombarded with breakthroughs, cautions and advice on how to manage our diets and health generally. Coffee causes cancer, coffee is good for you. Red wine is beneficial, but don’t drink too much or too often. It’s enough to drive anyone insane. This article will not cut through all of the fog, but it will help you discern which announcements have merit and which are pure sensationalism. And in the process, help you to relax about what you should or should not be doing. Homeopathy: Homeopath “treated” 4-yr-old boy’s behavior problems with saliva from rabid dog: This is the completely wrong concept that a treatment will cure the symptoms it treats; eg A homeopath, deciding that a 4 yr old with aggressive tendency should be treated with rabid dog saliva. You know that a movement has problems when it is impossible to parody because any joke made could still be the truth. So it is with homeopathy. However it should be recognized that rabies is a fatal disease, so really this is not funny at all. Now you may say that that is ok, homeopaths dilute to the point of non existence. However that does assume that the homeopath actually followed their lab procedures properly. Essentially this child was put as risk of death by ANY mistake the homeopath may make, but was only unharmed because ALL of homeopathy is incompetent. Invention of the Adrenaline Autoinjector (EpiPen): A mighty pen: Life-saving, portable and able to be used easily without medical training, the adrenaline autoinjector acts quickly as anaphylaxis can be deadly in minutes. New gold nanoparticles can make drugs ‘smarter’: Nanoparticles can be used in our future therapies to tailor drug delivery. While gold nanoparticles, dicscussed here, can improve drug targeting and stability, there are many other types of nanoparticles that might be included in future medicines, like antimicrobial silver nanoparticles. It’s one of our most lethal diseases. Although the death rate is less than one in 1,000 overall, it especially affects older people and is estimated to kill about 3,000 and hospitalise 13,500 Australians aged over 50 each year. It costs our nation A$115 million annually in direct health care costs. Influenza is often thought of as a disease of the old. But while older people are the group most likely to die from influenza, children don’t escape the toll. In fact, children under five years of age are the group most likely to be hospitalised for influenza.